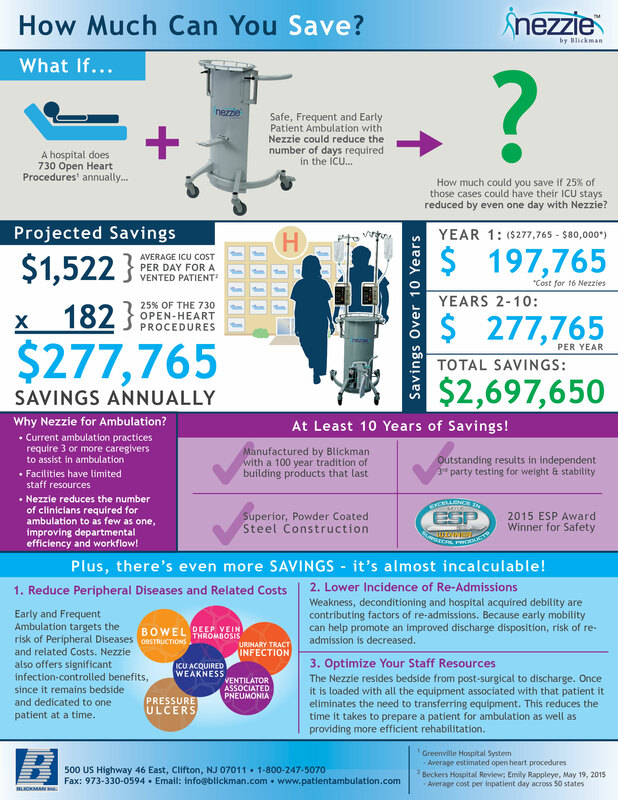 Despite the proven benefits of early, frequent and safe patient ambulation, many hospitals are still faced with two major roadblocks in implementing and perpetuating an effective ambulation program. The first is limited staff resources and the second is a lack of a clearly defined and well-implemented patient ambulation protocol. 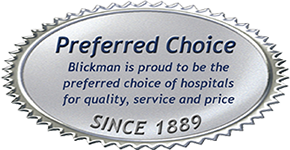 Nezzie, a unique ambulation device developed by a Thoracic Surgeon and available exclusively through Blickman, is the cornerstone that allows your hospital to establish and maintain a safe, effective, ongoing patient ambulation program. 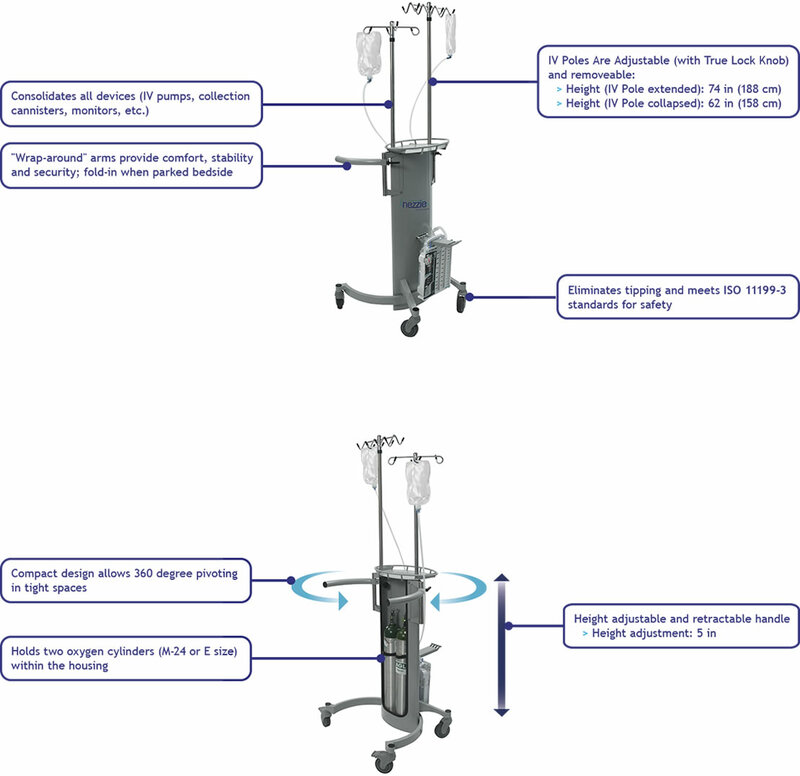 Parked bedside and requiring no more room than a standard IV Pole, Nezzie holds all devices, monitors, oxygen and IV poles, thereby eliminating the need to transfer and carry each item during ambulation. 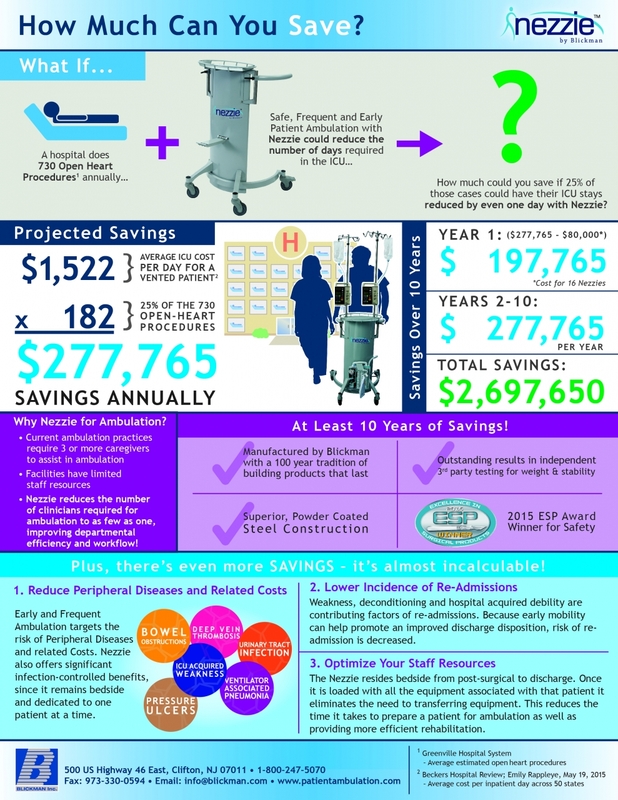 This creates a more efficient ambulation workflow, reducing the number of clinicians needed from three or more to as few as one. 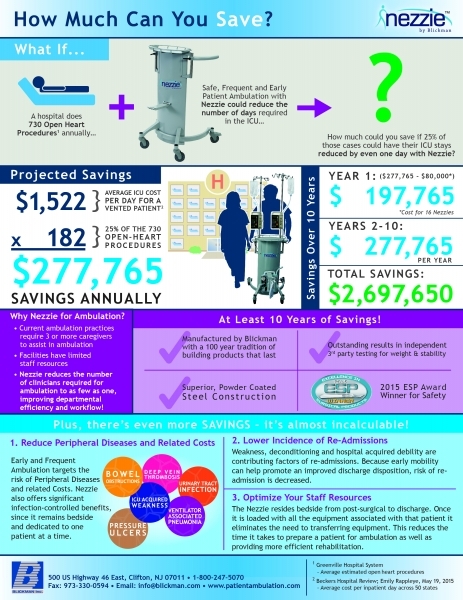 Nezzie’s superior design and durable construction allow it to hold more equipment than competitive products, yet remain stable, enhancing patient and staff safety. Its wrap-around handle design also contributes to patient safety and confidence during ambulation.